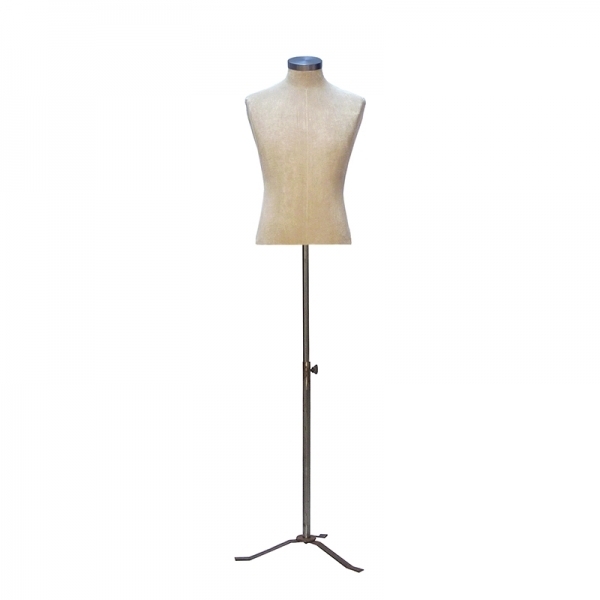 This male calico covered bust form has a gently aged and distressed finish. Removable raw metal neck cap and sturdy raw metal tripod base. Base is height adjustable. Can be used for shelf display. Height - 60cm. Bust - 92cm. Waist - 82cm. Hip - 92cm. Delivered within 5-7 working days.